We have been hearing reports about a large smartphone from Meizu. Now we have some crucial details about the upcoming smartphone. According to sources, Meizu is all set to launch the Meizu m3 Max, which is expected to flaunt a massive 6 inch display with a full metal unibody design. 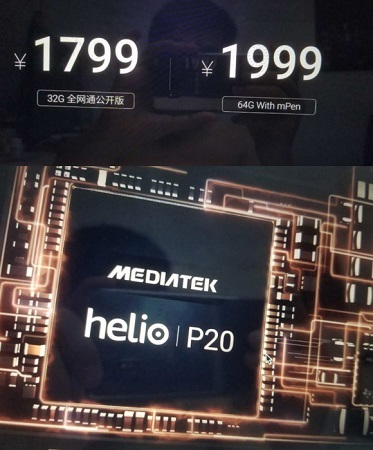 Interestingly, sources are now suggesting that the smartphone may be powered by the octa core MediaTek Helio P20 processor, making it the first smartphone to use the chipset. While we were expecting the smartphone to come in two variants, sources have now confirmed it and also revealed that the premium variant may also include a mPen stylus. The source also confirmed the rumoured pricing which starts at 1799 Yuan (approx. Rs. 18000) for the base variant and going up to 1999 Yuan (approx.. Rs. 20000) for the premium variant. We are eagerly waiting for September 5 to see if the handset is being announced.